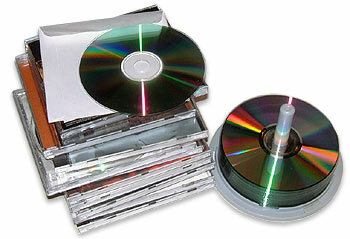 Abstract: Quick and simple instructions on how to make MP3s out of your CDs, and make MP3s into audio CDs back again. Digitized audio is governed by bit-rate, or the amount of song data that is transferred per second to the device that is playing the song. A digital audio recording using the 'Redbook' audio CD standard uses 1.4 million bits of data per second. This is the amount of information necessary to play a virtually identical digitized version of the original analog music. Everyone has heard of MP3. For the last 5 or 6 years, it has been the most publicized topic concerning the computer world. From MP3 sharing vs. theft and RIAA lawsuits to the ease and convenience of carrying your entire musical library with you wherever you go, MP3 has got people's attention. Like many popular computer subjects however, it is not necessarily widely understood once you get past the sound bites and buzzwords. Ask anyone off the street about MP3s in the news, and you will no doubt get a knowledgeable nod and an opinion, but ask them what MP3 files really are and how they are made, and you would be more likely to get a shrug than facts. There is a lack of easily accessible, non-technical information about what MP3 files are, how they can be made and used, and the legal issues surrounding them. In this guide, PCstats aim to clear up those questions, starting with an easy definition; what is an MP3 file? An MP3 file is a compressed version of a digital audio recording, such as a track from a CD. The original song data is 'encoded' using a variety of techniques that reduce the size of the resulting file while preserving much of the (perceptible) sound quality of the original. Digitized audio is governed by bit-rate, or the amount of song data that is transferred per second to the device that is playing the song. A digital audio recording using the 'Redbook' audio CD standard uses 1.4 million bits of data per second. This is the amount of information necessary to play a virtually identical digitized version of the original analog music. The MP3 format reduces this bit-rate by a factor of ten or more, while retaining much of the essential qualities of the audio. The secret to this is analyzing the frequency of the sounds contained in the CD track. Any audio recording is likely to contain various noises, incidental or otherwise, that are of a frequency we cannot perceive. Likewise, any multi-track audio recording is likely to have portions where one track drowns out others due to its volume at that point. MP3 encoders analyze the frequency pattern of an audio file and filter out sections of the file which would be difficult or impossible for us to hear. Essentially, the MP3 format reduces the size of audio files by 'biasing' them for human hearing, stripping them down to the essential, easily audible frequencies which would be all we would generally hear anyway. The resulting file is then compressed using more traditional software methods. We can levy some control over the sound quality of an MP3 by adjusting the sampling frequency (typically 44kHz) and bitrate (64kb/s - 196kb/s, and in some cases as high as 320kb/s) when the MP3 audio file is originally being encoded, which can dramatically impact on the end result. Though just as vinyl records are considered superior to the Compact Disk, CDs are superior to most MP3 recordings; choosing the right encoding settings narrows the gap significantly however.